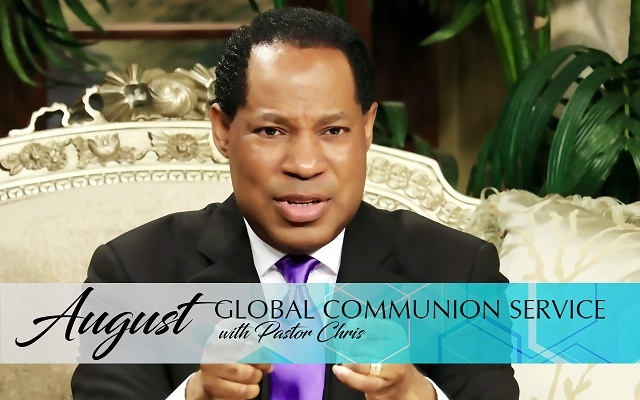 Multitudes plug in to receive inspiration of the Spirit for August 2017 from Pastor Chris. 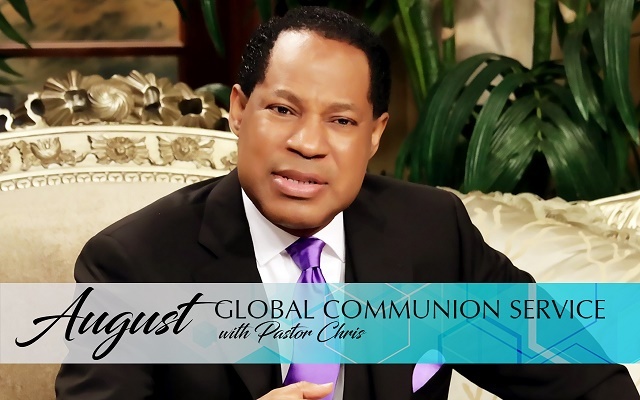 Congregations of hundreds and thousands connected to the much-anticipated August 2017 edition of the Global Communion Service with Pastor Chris. The service, which was beamed around the world from the LoveWorldUSA Studio, launched every participant into the direction of the Spirit for them in this month. The global congregation spent time to worship the Lord, led by LMAM ministers; everyone also thanked God in prayers for 'the Month of Expansion', interceding for students at the Healing School Summer Session. The highly esteemed CEO of the BLW Nation, Pastor Deola Phillips, welcomed participants from around the world, highlighting several exploits and significant attainments from the month of AuguST. The BLW President, Rev. (Dr.) Chris Oyakhilome, was joined by a BLW Assistant Secretary-General, Pastor Karen Victor, and the CEO, Pastor Deola Phillips, further expounding on the flourishing recorded in the past month, through 'Vision 400'. Special clips from the International School of Ministry Ministers' Network Conference and other programs were played for the inspiration of the brethren. 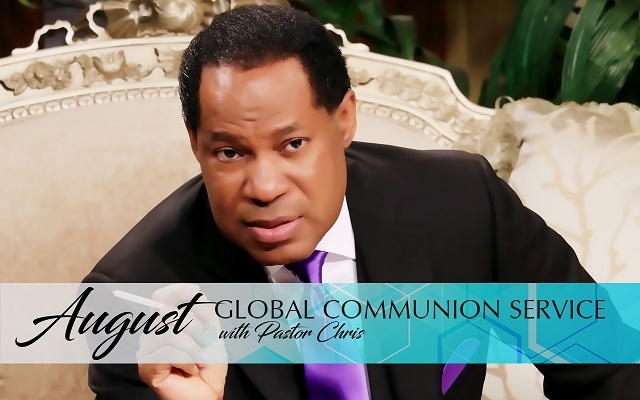 Pastor Chris answers questions during August Communion Service. 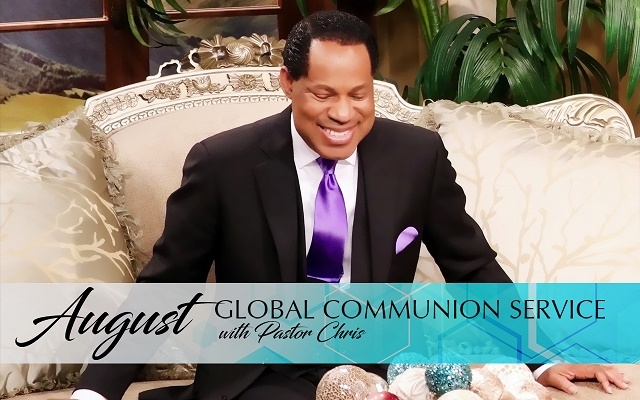 The PastorChrisLive question and answer segment of Global Communion Services are highly sought after, supplying God's wisdom to questions in the hearts of many. One of those whose questions was addressed in the segment wanted to know from Isaiah 43:16, if God still makes a way for His children today. In response to this question, the man of God, Pastor Chris, called to remembrance John 14:6, where the Lord Jesus declares unequivocally that He is "the way, the truth and the life." Picking up from this point, Pastor Chris said "the way has come; God is not making another way." Further qualifying his statement, the man of God admonished the congregation, saying "don’t quote Old Testament blessings without the light of the New Testament." In addition, Jacob from Ghana asked if one who has not been baptized in water can take the communion, to which Pastor Deola and Pastor Karen responded with an emphatic yes. However, both panelists and the man of God, Pastor Chris, specially admonished Jacob and anyone else in a similar situation to get baptized quickly, due to the importance of the baptismal sacrament in the scriptures. BLW President announces direction of the Spirit for August, 'the Month of the Shining Light'! Before declaring the eagerly anticipated word of the Spirit for August 2017 — 'the Month of the Shining Light' — the man of God, Rev. (Dr.) Chris Oyakhilome, read Matthew 5:16: "Let your light so shine before men, that they may see your good works, and glorify your Father which is in heaven." Pastor Chris went on to read Isaiah 60:2 and Romans 12:10-11, shedding more light on this new phase of the operation of the Spirit through us. "Never lag in zeal and in earnest endeavor; be aglow and burning with the Spirit, serving the Lord," the latter scripture reads in the Amplified version, indicating a clear desire of the Spirit for each citizen of the BLW Nation. "Shine by actions," the man of God instructed the congregation through the Spirit, emphasizing the portion of the theme scripture, Matthew 5:16, "that they may see your good works." Pastor also spotlighted the importance of praying in the Spirit this month, as a means to constantly initiate an outshining of the glory like Jesus experienced in Luke 9:28-29.